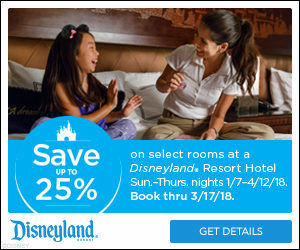 Plan your magical escape and take advantage of great rates for stays most Sunday through Thursday nights at a select Disneyland Resort hotel. Travel now through April 12, 2018 when you book by March 17, 2018. Experience both Disneyland Park and Disney California Adventure Park in one day when you upgrade to a Park Hopper Ticket. Fit the most into your vacation with this great ticket option. 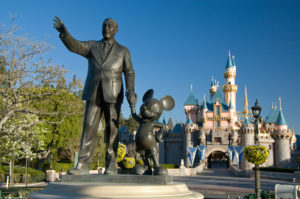 When you purchase a three day or longer Disneyland Resort theme park ticket you are allowed one early admission into select attractions, stores, entertainment and dining locations at Disneyland Resort Park before the park opens to the general public with Magic Morning. Add Disney MaxPass once you’re in the parks. 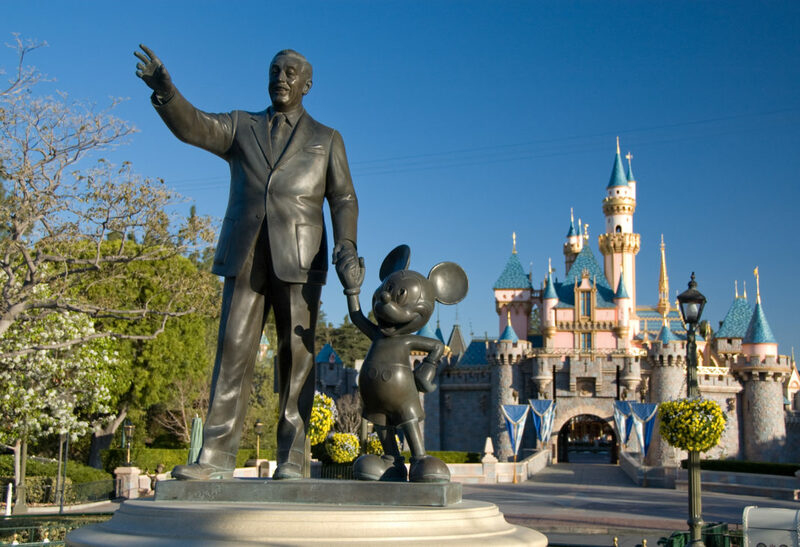 With MaxPass you save time in line at popular attractions by making FastPass selections. You also will have access to Disney PhotoPass photo downloads for a day. Savings based on the non-discounted price for the same room at the same hotel for most Sunday through Thursday nights from January 7 through April 12, 2018. Book from October 25, 2017 through March 17, 2018, with travel completed by April 13, 2018.